I was born in 1939 and spent most of my early life in Kentucky (in the old river boat city of Louisville) and Texas (as a child in the old Spanish city of San Antonio and later in the bustling new commercial city of Dallas). When I was around eleven or twelve years old, I decided that I wanted to be a scientist and probe the ultimate mysteries of the universe: where all things came from, the meaning of life, and the final answers to all things. So I did a bachelors of science degree at the University of Louisville in chemistry, along with a good deal of math and physics, and then spent a year working on a Ph.D. at the Ames Atomic Energy Laboratory at Iowa State University in physical chemistry and atomic and nuclear physics. At that point, I realized that the ultimate answers I was searching for did not lie here, and went to the School of Theology at Southern Methodist University, one of the ten top graduate theological schools in the United States. I spent four years studying there, earned a B.D. 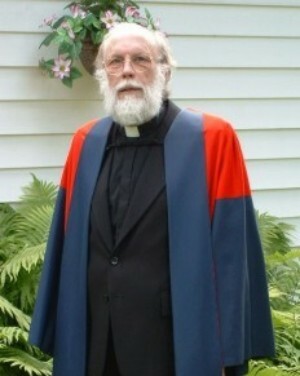 degree, and was ordained as a Methodist minister. I then went to Oxford University in England, where I earned a doctorate in theology, studying the roots of western thought among the philosophers of ancient Greece and Rome and the Christian theologians of the first centuries A.D., the period when the basic Christian doctrines of God, the Trinity, the divinity of Christ, and the nature of grace and human free will were all being established. When I came back to the United States, I taught at the University of Virginia for two years, for thirty-three years at Indiana University, and also spent a year as a Visiting Professor at Boston University. In 1988, I received Indiana University's prestigious Herman Frederic Lieber Award for my teaching. I was also awarded the Prix de Rome for my work on early Christianity and Greco-Roman philosophy, and was given the chance to spend a year at the American Academy in Rome. My book on The First Christian Histories won major national awards, and I also published a book called Images of Christ on the development of Christian ideas about the divinity and work of Christ over the past two thousand years. 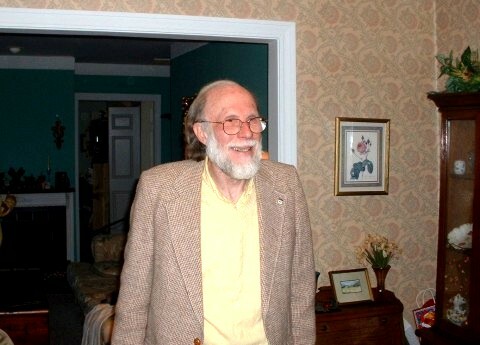 Shortly before my retirement as Professor of History and Religious Studies at Indiana University in 2003, I began writing the series of books in which I have been laying out the system of philosophical and theological ideas I had worked out over the course of the preceding years of study and research. Glenn Chesnut is also Moderator of the AAHistoryLovers web group, which is made up of over 2,500 members from all around the globe (the U.S., the U.K., Ireland, Mexico, India, Belgium, Germany, Australia, New Zealand, Canada, the Scandinavian countries, and so on), most of them ordinary people who are interested in A.A. history and archives. Anyone can join and participate. But 95% of the people who have written the really good books on A.A. history also belong to this group, along with some other real experts, making this the most reliable and dependable place on the internet to get truly accurate information about A.A. history. 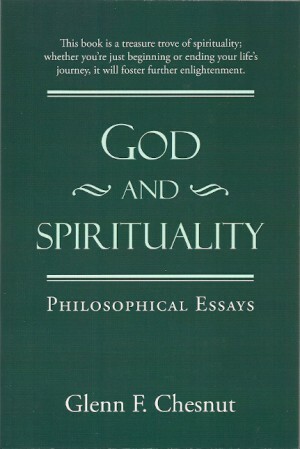 In God and Spirituality, I talk about my spiritual journeys over the previous sixty years, exploring various ideas about God and the life of the spirit: pagan Greeks and Romans, ancient Hebrew authors, Christians (Catholic, Eastern Orthodox, and Protestant) from all periods of history, the physicists Albert Einstein and Stephen Hawking, the mathematician Kurt Gödel, existentialist philosophers, process theologians, New Thought teachers, and the great spiritual masters of the modern twelve step program. I discovered the God who is the ground of being, out of which the Big Bang exploded 13.7 billion years ago. This eternal-ground-of-everything-else transcends all physical reality, and is not bound by most of the laws of physics, perhaps by none of them. In particular, God does not have to obey the Laws of Thermodynamics, because God represents a kind of supercosmic energy and dynamism which can never run down or wear out. Otherwise there would be no universe today, nothing at all. God has always existed, in a transcendental world where there is no death. The transendental realm in which God dwells runs parallel to the material world which the natural scientists study. In this two-story universe, the human body and brain live on the lower level, in the physical universe ruled by the laws of nature, while the higher part of human consciousness comes from the transcendental realm, and can return there in near death experiences, visions, and in its ability to sense the numinous quality of the holy, the good, and the beautiful reflected in the world of nature. The deterministic paradox means that human beings must forever search for the fantasy knowledge of Laplace's Demon, an imaginary omniscient observer who supposedly knows all the data in the universe and all of the laws of nature, and can use that to predict exactly what is going to happen at all points in the future. The unending search for this inifinite knowledge is the vital driving force of modern science. But paradoxically, every time the human mind works out why things absolutely had to happen in the way they did, the mind discovers, in an act of self-transcendence, the possibility of changing what is going to happen by doing something different. So what emerges is a world of continual creativity and novelty, in which human beings are given the gift of free will, and can learn to tap the power of the highest form of divine energy, the power of love. We can learn how to dwell -- even in this world -- in a universe of goodness, beauty, holiness, and forgiveness. Chesnut, a Methodist scholar trained in the history of early Protestantism, describes what it originally meant, before the "hot gospelers" of the frontier revivalist movement distorted it into a hyper-emotional proclamation of blind faith in the words and threats of hellfire shouted by an authoritarian preacher. WHAT WAS THE OXFORD GROUP? 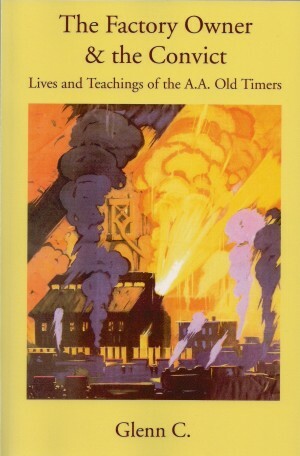 Chesnut, widely regarded as one of the four best A.A. historians alive today, gives one of the clearest and simplest explanations in print of the teachings and practices of the Oxford Group, the precursor of the Alcoholics Anonymous movement. The great secret which the Oxford Group taught the founders of the modern twelve-step program was that human character was not engraved in stone. In Changed by Grace: V. C. Kitchen, the Oxford Group, and A.A., I show how their techniques can be used to rid our lives of such character defects as destructive anger and bitterness, paralyzing self-pity and depression, non-stop wallowing in worry and anxiety, the continual pangs of guilt and self-recrimination, the inability to forgive, and obsessive slavery to alcohol, drugs, impulsive spending, gambling, destructive sexual practices, and eating disorders. In a chapter which has been reprinted and widely distributed around the internet, I also show how skeptics and people who are totally hostile to organized religion can find a God they can understand and relate to: "The Names of God: How to find a God of our understanding." The book uses Victor C. Kitchen as its entry into the teachings of the Oxford Group. He was a New York City advertising executive who wrote one of that group's most important books, I Was a Pagan, in 1934. 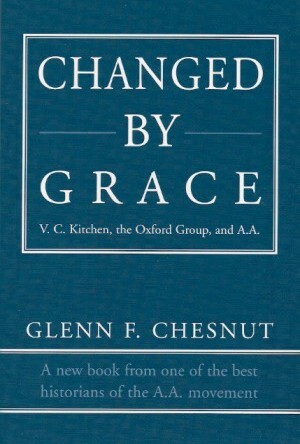 And Changed by Grace not only talks about Vic Kitchen, but also Frank Buchman (the founder of the Oxford Group) and H. A. Walter's book Soul-Surgery, which developed the idea of the 5 C's (Confidence, Confession, Conviction, Conversion, and Conservation) which was so important in Oxford Group practice, and subsequently provided the basic framework for Alcoholics Anonymous's twelve steps. The Oxford Group custom of seeking detailed guidance from God in prayer is traced back to F. B. Meyer's The Secret of Guidance and Henry Burt Wright's The Will of God and a Man's Lifework, as well as the famous Oxford Group book For Sinners Only by A. J. Russell. In the process, Changed by Grace gives one of the best short accounts in print of the history and teachings of the Oxford Group. And for those people in twelve-step programs who come from Protestant Evangelical backgrounds, Chesnut's book traces these teachings back to their origins in the teachings of Jonathan Edwards and John Wesley in early eighteenth-century England and its American colonies. "Each century produces a small handful of great spiritual books. I believe strongly that Changed by Grace is going to prove one of the greatest of our present century. The best way to describe it is to say that it does for us today what William James' Varieties of Religious Experience did for the world of a hundred years ago. Those who read it with an open mind will not only come to understand what spiritual experiences and spiritual awakenings are about, but will also learn the simple daily actions required to produce such awakenings. It is my prayer this day that all who read this book will open their minds like morning flowers and absorb the sunlight of the spirit contained within this book." And see the long, detailed review and evaluation of this book by James R. from the http://stepstudy.org website on Twelve-Step Theory and History (March 2007). 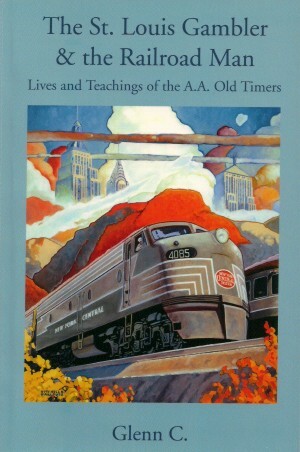 He begins by commenting: "The single most important issue in twelve step history is that of early AA's relationship to Evangelical Christianity by way of the Oxford Group. The best book on this subject to date is Changed By Grace: V. C. Kitchen, the Oxford Group, and A.A. Author Glenn F. Chesnut has done a marvelous job of placing early AA in the context of the Evangelical movement as it has developed over the last three centuries." The Psychology of Alcoholism is the major statement of that wing of early Alcoholics Anonymous which was composed of atheists and skeptics. They could neither understand nor relate to all the God language in the A.A. Big Book, but found their own way of working the twelve-step program. 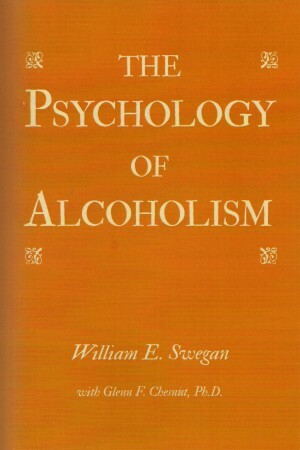 William E. Swegan, a World War II veteran (and Pearl Harbor survivor), got sober himself in 1948, and began learning how to get other alcoholics sober from a number of the great masters in that field, including E. M. Jellinek at the Yale School of Alcohol Studies, Sister Ignatia, Mrs. Marty Mann (founder of the National Council on Alcoholism), and Bill Dotson (the Man on the Bed, A.A. No. 3). He teamed up with one of the top U.S. psychiatrists in 1953 to start the first officially approved and fully institutionally organized military alcoholism treatment program at Lackland Air Force Base in San Antonio, Texas. His co-worker was Dr. Louis Jolyon "Jolly" West, who was later head of the Department of Psychiatry at UCLA in Los Angeles (he was also the man who was asked by the U.S. military to figure out how Chinese brainwashing worked). The Lackland model became one of the three most important basic methods for setting up treatment centers for alcoholism and drug addiction (alongside the Minnesota Model and the more religiously-oriented system used by Sister Ignatia at St. Thomas Hospital in Akron, Ohio). In 2002, Bill Swegan asked me to help him write this book. I went through all of his earlier writings, most of them short articles, although there was one autobiographical account that was a bit longer. Then I used that material to write the first draft of this book. Every single word that I wrote was checked by Bill, as we went through further revisions, and not a single word or phrase went into the book which he did not approve and agree with. I worked to explain his understanding of character defects, of how you worked the steps without God, and of the role played by the subconscious, which he interpreted in neo-Freudian terms. I also wrote about Bill's life, trying to go below the surface level, and talk about his real motivations and his deepest hidden fears and personal psychological issues. After several chapters, he said to me in amazement, "You are psychoanalying me!" But he didn't disagree with a single thing I was observing, and told me later that he himself had become much clearer about certain aspects of his life after the book was finished. High praise indeed from a man who had spent most of his adult life psychoanalyzing alcoholics and drug addicts! program, take a look at this book. Bill Swegan obtained a fully documented fifty percent success rate the first time people went through his program (with many of the remainder getting clean and sober after a few more misadventures finally showed them that Bill had been right about a few things). This is just as high a success rate as the most religiously oriented versions of the twelve step program have ever achieved. I have devoted my own life to serving the God of my understanding. Some of the books I have written have laid out the intellectual grounds I discovered for God's existence and power. But if you are destroying your life with something which a twelve step program can cure, I am a whole lot more interested in seeing you alive and enjoying a decent life, than I am about playing word games and arguing about definitions. Please go see how that good man Bill Swegan explained it, and see if that helps. For more information, click here: Glenn F. Chesnut, The Higher Power of the Twelve-Step Program: For Believers & Non-Believers (2001). "As an old hard-bitten, somewhat cynical surgeon I started reading it with a very critical attitude which quickly evaporated and I found much to admire and practically nothing to criticize. His discussion of higher power, God, spirituality and grace were very meaningful and not at all religious. I wish the book had been available for the many questions that my alcoholic sailors had that I could not answer. He makes the Twelve Steps good medicine for a host of problems. I hope the physicians of today will come to learn how many of their patients could benefit by sharing in the fellowship." Captain Joseph Zuska, M.D., founder in 1965 of the Navy's first pilot program for the treatment of alcoholism at the Naval Station at Long Beach, California. His program became world-renowned later when Betty Ford, wife of President Ford, and Billy Carter, brother of President Carter, were sent there for treatment. "Glenn Chesnut has described in great detail the sorts of approaches which were used by the A.A. old-timers in bringing hostile and skeptical newcomers to a better understanding of real spirituality, where reading traditional religious books and feeling constrained to use traditional doctrines and dogmas was, more often than not, of little use for beginners. This book was designed to gently lead people who are antagonistic toward traditional religious language into a deeper understanding of what those spiritual concepts are actually about, and how they help the everyday working of a good twelve-step program. It is built on traditional A.A. teachings, and is especially useful for the way in which he put down in writing, for the first time, a good deal of oral A.A. tradition passed down from the good old-timers of my own younger days." William E. Swegan, who got sober in 1948, learned how to set up alcoholism treatment programs from Sister Ignatia, E. M. Jellinek, and Mrs. Marty Mann. He wrote The Psychology of Alcoholism, the principal statement of the principles taught by the wing of early Alcoholics Anonymous which interpreted the program in largely psychological and atheistic terms. "It should be required reading for anyone who wants to become a chemical dependency counselor. It makes the process of the spiritual awakening within the context of the twelve step program understandable to both professionals and lay people. It explains why that process is so necessary and vital within a person who is trying to grow within the twelve step program." Lori Croy, a psychiatric nurse with many years of experience working with alcoholics and addicts in northern Indiana. "I felt a great sense of peace"
"Just finished the HP and would like to thank you ... for writing it -- really, really good. Sitting snuggly in the gut if you get my drift? It's so good to read something full of commonsense wisdom. Each time I read a chapter I felt a great sense of peace." From Fiona D. in County Mayo, Ireland, the AA historian who discovered Sister Ignatia's birthplace, see photos of the remains of the family home and the ship on which she sailed to America. "Glenn Chesnut has written the fantastic book The Higher Power of the Twelve-Step Program: For Believers & Non-Believers. Worldwide a lot of satisfied readers have read it, and rated it at the highest rating: FIVE STARS. I can highly recommend this book. It connected up with my own previous attempts to imagine or conceive of this Higher Power." 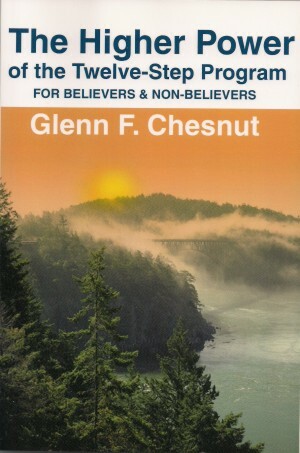 Glenn F. Chesnut, The Factory Owner & the Convict and The St. Louis Gambler & the Railroad Man, which were originally published as a single long volume in 1996, provided the foundation for all of my subsequent writings on twelve-step spirituality and the God who is discovered in the process of working the steps. I did not start with complicated philosophical questions and intellectual issues, and then try to turn these puzzles and conundrums into a living experience of grace, serenity, joy, freedom, beauty and goodness. Instead I started by searching out seven of the wisest and best teachers of the twelve-step program I could find in the part of the country where I live. Thousands of people (from the highest to the lowest) traveled miles to listen to these men and women and seek their advice. I let each one explain in his or her own words how people can find freedom from anger, shame, guilt, and addiction to self-destructive substances and behaviors. Ken Merrill, the factory owner, although a church goer himself, explained Alcoholics Anonymous as a psychological program with no God involved. He became one of the best spokesmen for the wing of early A.A. which included the atheists and the skeptics, but discovered ways to work the program anyway. Nick Kowalski had murdered a man in a house of prostitution while he was drunk, someone who turned out to have been just an innocent bystander. Sentenced to life in the state penitentiary and racked with guilt, young Nick tried to commit suicide several times, and could not see how he would be able bear to "do the time." But one of the two most famous early AA prison groups was started at the place where he was locked up, and someone taught him how to find a God of his understanding. He finally gained his freedom, and spent the rest of his life going around helping others. He often teamed up with Brownie (Harold Brown). Brownie was a flamboyant black man who had been a nightclub emcee and professional gambler in the old riverboat town of St. Louis. The meeting place which he started in South Bend, Indiana, is still called "Brownie's" to this day. People make month-long pilgrimages there to do honor to Brownie's memory and to Nick's memory, coming from Chicago, Illinois; East Lansing, Michigan; Bloomington, Indiana; and Ann Arbor, Michigan. And there are people who do honor to their memory by long distance from as far away as Arizona, New York, and Florida. See photographs by clicking HERE, HERE, and HERE. Jimmy Miller was the first lady of black A.A., the first black woman to join the new Alcoholics Anonymous movement. She tells of her struggles gaining acceptance, and describes the simple but firm faith that kept her going. Part of what she says here was included verbatim in a play about A.A. beginnings which was presented twice at the A.A. International in San Antonio in 2010 to standing room only, and subsequently to audiences all over California. Ellen Lantz tells her simple story about how she made her first breakthrough when she wrote out a fourth-step inventory in which she finally quit blaming other people for her unhappiness, and started looking at her own character defects. The minute she did a fifth step by reading this inventory to a pastor at a nearby church, the block between her and God was broken. And she found her peace by learning that she could just "sense" love. She could love other people, and then feel it when other people loved her back, and everything became all right. Ed Pike was a wise and gentle railroad conductor and Goshen Bill was a flamboyant black man who knew how to cut through people's alibis and excuses. Anyone who wants to truly understand where the complex metaphysical theories of my book on God and Spirituality came from needs to read these two volumes first. All I am doing is trying to be faithful to these seven teachers and what they and their friends and disciples taught me.